Microsoft’s Internet Explorer (IE) used to be a popular browser for net users. However, the popularity has gradually been taken over by other alternate browsers especially Firefox nowadays. Net users have turned to other browsers mainly due to security reasons. IE is a favorite target for hackers or spyware merchants. To avoid the potential security threat, many users have chosen to remove or disable IE from their system. By disabling IE from use, it helps to reduce the risk of cyberattacks. 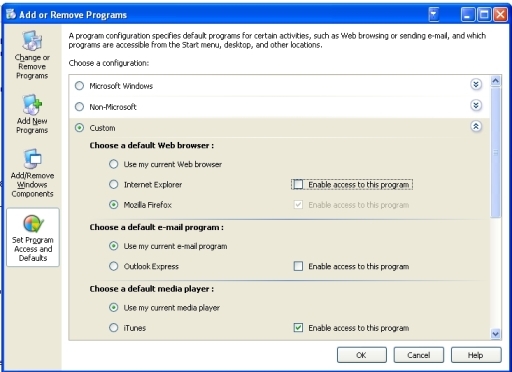 How to do it if you intend to disable your IE? Of course you can set Firefox as the default browser and simply ignore IE. However, if your PC or workstation is shared amongst your friends, siblings or colleagues, then you need to do some re-setting so that you can disable your IE to prevent it from being used by others. Basically there are a few ways to do that. To disable your Internet Explorer, the easiest and most straightforward way is to use any third party’s firewall. You can configure or define the rules to deny access to any program inclusive of Internet Explorer via Firewall. If you don’t have Firewall in your system and do not intend to spend money to set up your firewall, the next solution you can consider is to use proxy settings to prevent Internet access with IE. To disable your IE via proxy settings, first of all you need to open your IE. Go to Tools>Internet Options and choose “Connections” tab. 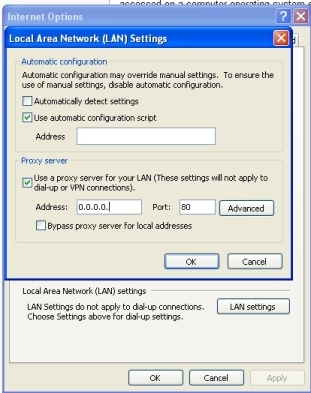 Click on the “LAN” Settings button and check the box “Use a Proxy Server for your LAN”. Type in 0.0.0.0. as shown in the photo under the Address and click ok once you are done. You IE will be disabled and you can enable it back by just unchecking the box. Another alternative that you can consider is to disable IE is through your Control Panel. Go to your Control Panel and open Add/Remove Programs. Click on “Set Program Access and Defaults” and chose “Custom”. Uncheck the “Enable Access to this program” in front of Internet Explorer as shown in the photo below.